At Freedom Physical Therapy Services, we listen to you, assess the big picture, and create a custom plan to move you ahead. to reduce pain, improve performance and enhance wellness. Come see us at one of our four convenient locations in Fox Point, Grafton, Brookfield, and Mukwonago in Wisconsin. Come see our therapists. We will make you feel better. Two months before running my first Ironman 70.3 I developed knee pain that prevented me from running more than 8 miles. This was a problem, given that I would have to run 13.1. 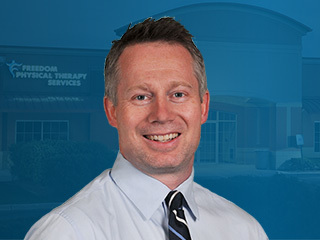 I got paired up with Spencer Tredo at the Grafton clinic, and together the two of us worked to heal my pain through PT and exercise that I could do at home. One of my favorite things about Spencer is his incredible knowledge, and his way of explaining why he’s doing everything he is. Race day came and I didn’t have any pain at all! As luck would have it, however, I injured myself during the race. I continued to work with Spencer and am continuously amazed at how quickly he is able to get me back to high-level activity. Both Spencer and Freedom Physical Therapy have played huge roles in my race season, and I look forward to working with them in the future. I’m forever grateful! 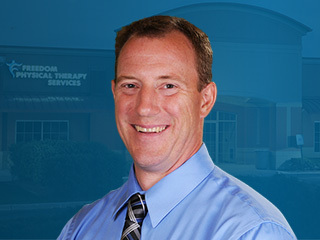 Dear Mike K. and the outstanding team of health givers at Freedom Physical Therapy- Grafton. This is not the first time I extolled the qualities of your services which seem to surpass those of others. Your attributes are to be celebrated and I and others are proud to be a part of this celebration today. You have given freedom so many including myself, my wife and, now as of today, two more, my daughter, and a neighbor! Continue with your values, they’re working! Thank you and God Bless! I am letting go of TMJ. 5 years too long. Adios my nagging friend!!! 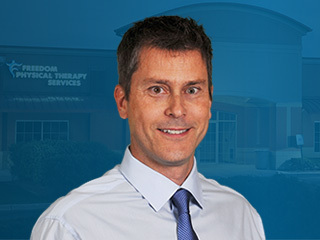 Thank you to Freedom Physical Therapy Services and my TMJ Physical Therapist Michael Karegeannes who so delicately dealt with my pain, my tears, my disappointments, my depression, my negative attitude and eventually 5 years later, my utter excitement, my relief, my renewed energy, my increased self-esteem, which all lead to my new successes and entire change of life. From the way Abigail greets and treats her patients, it is obvious that she loves her work. From the first time I met her in June to our last session, she always made me feel likes she was glad to see me and glad to do her best to help me get better. 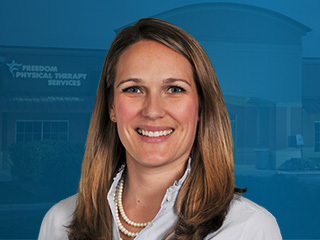 I would recommend her highly to anyone who needs physical therapy. If you have any sort of pain that has been plaguing you for however long I urge you to explore dry needling. You never see the needles, yes it sometimes hurts, but afterwards the pain is GONE. You go as much or as little as you like. You will be amazed. Check it out. What are you afraid will happen? You will be relieved of your pain? * These testimonials are not indicative of every person’s circumstance. At Freedom Physical Therapy Services we do all we can to help you ENJOY MORE FREEDOM but understand results vary depending on each individual.